Professor Jofre-Bonet is Director of the MSc in Health Economics and the MSc in Economic Evaluation in Healthcare at City, University of London. She is a Senior Associated Researcher at LSE Health Policy (London School of Economics and Political Sciences), collaborates with the London School of Hygiene and Tropical Medicine, belongs to the London International Development Centre, is an Expert Advisor for the NICE Centre for Guidelines and the ESRC Peer Review College. Prior to joining City, Professor Jofre-Bonet was a Lecturer at LSHTM, a Research Faculty member at the School of Public Health at Yale University, and taught at the Departments of Economics at the London School of Economics and at Yale University. 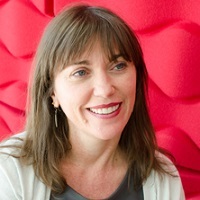 She has been a Core Member of NICE Public Health Committee and has contributed to health economics projects and reviews public institutions - including the UK Department of Health, the NIHR Health Technology Assessment programme, the Sierra Leone National Social Insurance Trust and the Catalan and the Balearic Island's Departments of Health. Fields of interest include: health production functions and lifestyle decisions; adaptation to health states; the impact of substance abuse and mental health on productivity; economic evaluation applied to substance abuse and to eye disease; topics of industrial organisation applied to the demand for health care and topics of industrial organisation and research policy. Jofre-Bonet, M. and Kamara, J. (2018). Willingness to Pay for Health Insurance in the Informal Sector of Sierra Leone. PLoS ONE, 13(5). doi:10.1371/journal.pone.0189915 . Cubí-Mollá, P., Jofre-Bonet, M. and Serra-Sastre, V. (2017). Adaptation to health states: Sick yet better off? Health Economics, 26(12), pp. 1826–1843. doi:10.1002/hec.3509 . Banal-Estañol, A., Jofre-Bonet, M. and Lawson, C. (2015). The double-edged sword of industry collaboration: Evidence from engineering academics in the UK. Research Policy, 44(6), pp. 1160–1175. doi:10.1016/j.respol.2015.02.006 . Harding-Esch, E., Jofre-Bonet, M., Dhanjal, J.K., Burr, S., Edwards, T., Holland, M. … Bailey, R. (2015). Costs of Testing for Ocular Chlamydia trachomatis Infection Compared to Mass Drug Administration for Trachoma in The Gambia: Application of Results from the PRET Study. PLoS Neglected Tropical Diseases, 9(4). doi:10.1371/journal.pntd.0003670 . Jofre-Bonet, M. and Pesendorfer, M. (2014). Optimal sequential auctions. International Journal of Industrial Organization, 33(1), pp. 61–71. doi:10.1016/j.ijindorg.2014.02.002 . Costa-Font, J. and Jofre-Bonet, M. (2013). Anorexia, Body Image and Peer Effects: Evidence from a Sample of European Women. Economica, 80(317), pp. 44–64. Costa-Font, J., Jofre-Bonet, M. and Yen, S.T. (2013). Not All Incentives Wash Out the Warm Glow: The Case of Blood Donation Revisited. Kyklos, 66(4), pp. 529–551. Costa-Font, J. and Jofre-Bonet, M. (2008). Is there a 'secession of the wealthy'? Private health insurance uptake and National Health System support. Bulletin of Economic Research, 60(3), pp. 265–287. doi:10.1111/j.1467-8586.2008.00285.x . Jofre-Bonet, M. and Petry, N.M. (2008). Trading apples for oranges?. Results of an experiment on the effects of Heroin and Cocaine price changes on addicts' polydrug use. Journal of Economic Behavior and Organization, 66(2), pp. 281–311. doi:10.1016/j.jebo.2006.05.002 . Costa-Font, J. and Jofre-Bonet, M. (2006). Are private health insurance subscribers unsatisfied with the Spanish national health system? Geneva Papers on Risk and Insurance: Issues and Practice, 31(4), pp. 650–668. Jofre-Bonet, M., Busch, S.H., Falba, T.A. and Sindelar, J.L. (2005). Poor mental health and smoking: interactive impact on wages. Journal of Mental Health Policy Economics, 8(4), pp. 193–203. Busch, S., Falba, T., Duchovny, N., Jofre-Bonet, M., O'Malley, S. and Sindelar, J. (2004). Value to smokers of improved cessation products: evidence from a willingness-to-pay survey. Nicotine Tob Res, 6(4), pp. 631–639. doi:10.1080/14622200410001727885 . Busch, S.H., Jofre-Bonet, M., Falba, T.A. and Sindelar, J.L. (2004). Burning a hole in the budget: tobacco spending and its crowd-out of other goods. Applied Health Economics and Health Policy, 3(4), pp. 263–272. Jofre-Bonet, M. and Pesendorfer, M. (2003). Estimation of a dynamic auction game. Econometrica, 71(5), pp. 1443–1489. Jofre-Bonet, M. (2000). Public health care and private insurance demand: the waiting time as a link. Health Care Management Science, 3(1), pp. 51–71. Jofre-Bonet, M. (2000). Health care: Private and/or public provision. European Journal of Political Economy, 16(3), pp. 469–489. doi:10.1016/S0176-2680(99)00063-4 . Adler, A., Jofre-Bonet, M., Wilkinson, G., Martin, A. and Mcguire, A. (2014). Quantifying the Loss of Health-related Quality of Life from Hypoglycemia. Serra-Sastre, V., Cubi-Molla, Patricia, and Jofre-Bonet, Mireia, (2013). Adaptation to health states: sicker but better off? Health Economists' Study Group Summer 2013 Conference 26-28 June, University of Warwick. Serra-Sastre, V., Cubi-Molla, Patricia, and Jofre-Bonet, Mireia, (2013). Adaptation to health states: sicker but better off? XXXIII Jornadas de Economía de la Salud 19-21 June, Santander. Cubi-Molla, P., Jofre-Bonet, M. and Serra-Sastre, V. (2012). Adaptation to health states: a microeconometric analysis. 4th Biennial Conference ASHEcon 10-13 June, University of Minnesota. Bertwistle, D., Anderson, P. and Jofre-Bonet, M. (2012). NICE TECHNOLOGY APPRAISALS AND THE UPTAKE OF BREAST CANCER DRUGS IN THE UK. Jofre-Bonet, M. and Pesendorfer, M. (2000). Bidding behavior in a repeated procurement auction: A summary. Bennaghmouch, N., de Veer, A.J.W.M., Mahmoodi, B.K., Jofre-Bonet, M., Lip, G.Y.H., Bode, K. … ten Berg, J.M. (2019). Economic evaluation of the use of non-vitamin K oral anticoagulants in patients with atrial fibrillation on antiplatelet therapy: a modelling analysis using the healthcare system in the Netherlands. European Heart Journal - Quality of Care and Clinical Outcomes, 5(2), pp. 127–135. doi:10.1093/ehjqcco/qcy030 . Kuper, H., Lyra, T.M., Moreira, M.E.L., de Albuquerque, M.D.S.V., de Araújo, T.V.B., Fernandes, S. … Valongueiro, S. (2018). Social and economic impacts of congenital Zika syndrome in Brazil: Study protocol and rationale for a mixed-methods study. Wellcome Open Research, 3, pp. 127–127. doi:10.12688/wellcomeopenres.14838.1 . Harty, G., Jarrett, J. and Jofre-Bonet, M. (2018). Consequences of Biomarker Analysis on the Cost-Effectiveness of Cetuximab in Combination with FOLFIRI as a First-Line Treatment of Metastatic Colorectal Cancer: Personalised Medicine at Work. Applied Health Economics and Health Policy, 16(4), pp. 515–525. doi:10.1007/s40258-018-0395-5 . Costa-Font, J. and Jofre-Bonet, M. (2013). Anorexia, Body Image and Peer Effects: Evidence from a Sample of European Women. Economica, 80(317), pp. 44–64. doi:10.1111/j.1468-0335.2011.00912.x . Sharma, A., Jofre-Bonet, M., Panca, M., Lawrenson, J. and Murdoch, I. (2012). Response to johnson et Al. Eye (Lond), 26(11), pp. 1494–1495. doi:10.1038/eye.2012.176 . Sharma, A., Jofre-Bonet, M., Panca, M., Lawrenson, J.G. and Murdoch, I. (2012). Response to johnson et Al. Eye, 26(11), pp. 1494–1495. doi:10.1038/eye.2012.176 . Browne, C., Brazier, J., Carlton, J., Alavi, Y. and Jofre-Bonet, M. (2012). Estimating quality-adjusted life years from patient-reported visual functioning. Eye (Lond), 26(10), pp. 1295–1301. doi:10.1038/eye.2012.137 . Browne, C., Brazier, J., Carlton, J., Alavi, Y. and Jofre-Bonet, M. (2012). Estimating quality-adjusted life years from patient-reported visual functioning. Eye, 26(10), pp. 1295–1301. doi:10.1038/eye.2012.137 . Bozzani, F.M., Alavi, Y., Jofre-Bonet, M. and Kuper, H. (2012). A comparison of the sensitivity of EQ-5D, SF-6D and TTO utility values to changes in vision and perceived visual function in patients with primary open-angle glaucoma. BMC Ophthalmol, 12, p. 43. doi:10.1186/1471-2415-12-43 . Sharma, A., Jofre-Bonet, M., Panca, M., Lawrenson, J.G. and Murdoch, I. (2012). An economic comparison of hospital-based and community-based glaucoma clinics. Eye (Lond), 26(7), pp. 967–971. doi:10.1038/eye.2012.73 . Alavi, Y., Jofre-Bonet, M., Bunce, C., Wormald, R.P., Viswanathan, A., Foster, A. … Hitchings, R. (2011). Developing an algorithm to convert routine measures of vision into utility values for glaucoma. Ophthalmic Epidemiol, 18(5), pp. 233–243. doi:10.3109/09286586.2011.602577 . Alavi, Y., Jofre-Bonet, M., Bunce, C., Wormald, R.P., Viswanathan, A., Foster, A. … Hitchings, R. (2011). Developing an algorithm to convert routine measures of vision into utility values for glaucoma. Ophthalmic Epidemiology, 18(5), pp. 233–243. doi:10.3109/09286586.2011.602577 . Sharma, A., Jofre-Bonet, M., Panca, M., Lawrenson, J.G. and Murdoch, I. (2010). Hospital-based glaucoma clinics: what are the costs to patients? Eye (Lond), 24(6), pp. 999–1005. doi:10.1038/eye.2009.284 . Sharma, A., Jofre-Bonet, M., Panca, M., Lawrenson, J.G. and Murdoch, I. (2009). Hospital-based glaucoma clinics: what are the costs to patients? Eye, 24(6), pp. 999–1005. doi:10.1038/eye.2009.284 . Kuper, H., Jofre-Bonet, M. and Gilbert, C. (2006). Economic evaluation for ophthalmologists. Ophthalmic Epidemiol, 13(6), pp. 393–401. doi:10.1080/09286580600760539 . Jofre-Bonet, M. and Sindelar, J.L. (2004). Creating an aggregate outcome index: cost-effectiveness analysis of substance abuse treatment. J Behav Health Serv Res, 31(3), pp. 229–241. Jofre-Bonet, M., Sindelar, J.L., Petrakis, I.L., Nich, C., Frankforter, T., Rounsaville, B.J. … Carroll, K.M. (2004). Cost effectiveness of disulfiram: treating cocaine use in methadone-maintained patients. J Subst Abuse Treat, 26(3), pp. 225–232. doi:10.1016/S0740-5472(04)00004-2 . Jofre-Bonet, M., Sindelar, J.L., Petrakis, I.L., Nich, C., Frankforter, T., Rounsaville, B.J. … Carroll, K.M. (2004). Cost effectiveness of disulfiram: treating cocaine use in methadone-maintained patients. Journal of Substance Abuse Treatment, 26(3), pp. 225–232. doi:10.1016/S0740-5472(04)00004-2 . Sindelar, J.L., Jofre-Bonet, M., French, M.T. and McLellan, A.T. (2004). Cost-effectiveness analysis of addiction treatment: paradoxes of multiple outcomes. Drug Alcohol Depend, 73(1), pp. 41–50. Falba, T., Jofre-Bonet, M., Busch, S., Duchovny, N. and Sindelar, J. (2004). Reduction of quantity smoked predicts future cessation among older smokers. Addiction, 99(1), pp. 93–102. Sindelar, J.L., Jofre-Bonet, M., French, M.T. and McLellan, A.T. (2004). Cost-effectiveness analysis of addiction treatment: paradoxes of multiple outcomes. Drug Alcohol Dependence, 73(1), pp. 41–50. doi:10.1016/j.drugalcdep.2003.09.002 . Jofre-Bonet, M. and Sindelar, J.L. (2001). Drug Treatment as a Crime Fighting Tool. Journal of Mental Health Policy Econonmics, 4(4), pp. 175–178. Serra-Sastre, V., Jofre-Bonet, M. and Cubi-Molla, P. (2016). Adaptation to health states: evidence from the English Longitudinal Study of Ageing (ELSA)..
Serra-Sastre, V., Cubi-Molla, P. and Jofre-Bonet, M. (2013). Adaptation to Health States: A Micro-Econometric Approach..
Costa-i-Font, J., Jofre-Bonet, M. and Grand, J.L. (2015). Vertical Transmission of Overweight: Evidence from English Adoptees. Costa-i-Font, J. and Jofre-Bonet, M. (2016). Like Mother, Like Father? Gender Assortative Transmission of Child Overweight.